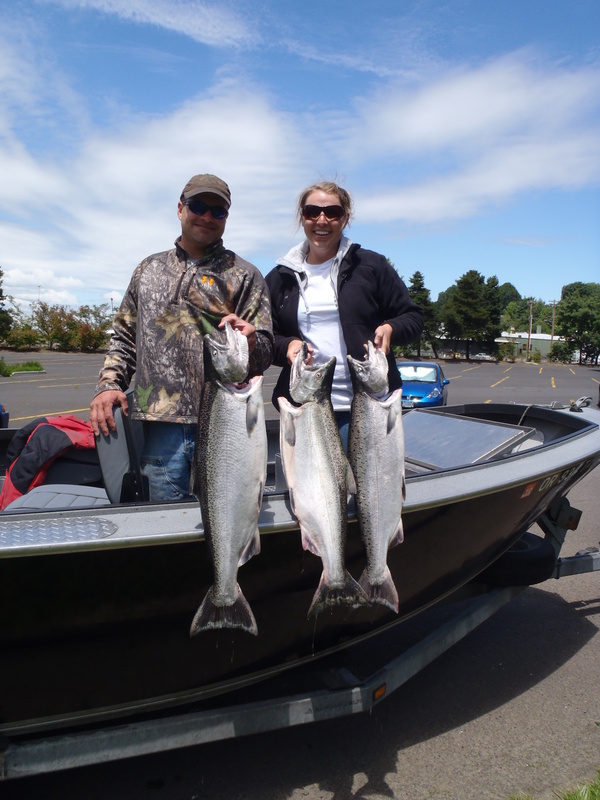 This one isn’t all about farming…it covers a few more of the “normal” sides of my life about love & fishing. Just for those who do not know…I’m in love with a fisherman, a hunter, an outdoor enthusiast, a landscape designer, a wood furniture builder, an excavator, a kind man, a grateful man, and a humble man…I’m also lucky enough that all of these men (seeing as multiple boyfriends can be frowned upon) are part of one awesome guy! He claims that since we have known each other for so long, he has nothing new to learn about me (ha ha), I on the other hand have learned so much I could probably write a book. The first chapter would probably be entitled, “How to Date a guy with 100 hobbies”….but until then I’ll just share a bit about what I’ve learned about dating a fisherman first. 4:30am is not early, if you’re up to catch fish. Don’t plan things on Saturdays or Sundays, or really any day of the week during fishing season…because it will get canceled. Patience is key, they truly don’t call it catching for a reason. You don’t have to be quiet, but you also don’t have to talk the whole time…sitting in silence it totally fine while out on the water. It’s important to watch your pole, because the moment you aren’t watching it…that’s when you’ll miss the fish! If you do happen to get a fish on, it’s quite alright to be given stern advice at a hurried pace at for the next 5 minutes while you reel him in (at first I called it yelling, but I was assured that it wasn’t)…don’t worry the fisherman still loves you, he’s just a bit excited! It’s very important to tell the fisherman well in advance of having to go to the bathroom RIGHT NOW…give him some time to get back to the dock otherwise you’ll be peeing in a bucket. Bringing along food is a must, the fisherman won’t always tell you to bring food, you’re the guest out there on the water…you bring the food, period. And when you bring food…whatever you do don’t bring a banana onto the boat…I don’t know why, but this a rule and it’s not to be crossed. Understand that fishing is their true love, you’re great and all, but don’t mess with their fishing!! My fisherman & I after a great day on the river! ← Happy 4th of July!! I will let you in on another rule that my brother the fisherman has. When it comes to taking pictures, If you cant hold the most hold the biggest. Just look at that picture and his knowing smile. Karan said I should of used an example of how this rule works. So…. “Yea but I caught the biggest” or reversed when he is holding two fish for the photo. Ms. Nuttygrass! Best story ever! Being married to your fishermans brother #8 and #9 are a must! I must say he reeled in the best catch ever… you! Oh yes…that is so very true Stephan!! We actually got to see him this weekend, he was in prime form haha! Hope all is well in Germany! Cute post! #8 applies to me. I almost always have food and/or a water bottle with me. On the rare occasion I forget the water, guess who NEEDS a drink? #10 is a good one too! Sometimes I wish J would take the time to do more hunting, fishing and things he enjoys! Looks like you will be eating well! Thanks Robyn! Glad you liked the post, and also thanks for the bit of advice, congrats on 8 years! !